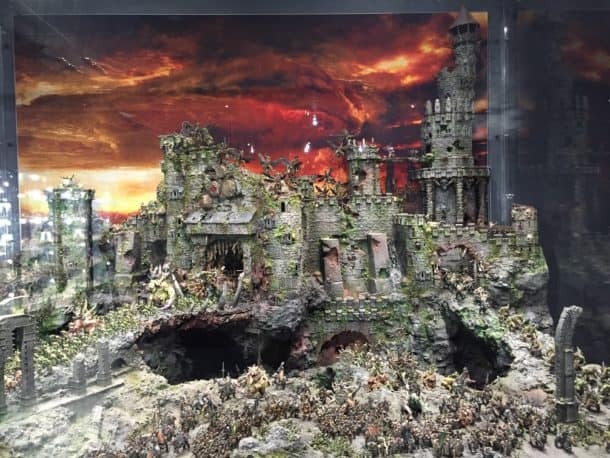 “Warhammer Fest is a gathering of fans and a celebration of basically everything about the worlds of Warhammer and Warhammer 40,000, the miniatures, the boardgames, the novels – and in this day and age it’s also about the videogames, set either in the grim dark future or in the Old World torn apart by war. 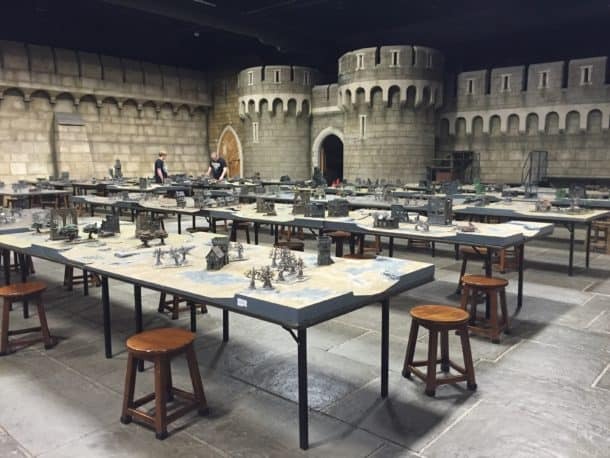 Such events always seem like a great occasion to meet dedicated fans and we, here at NeocoreGames were extremely happy to accept the kind invitation by Games Workshop this year. 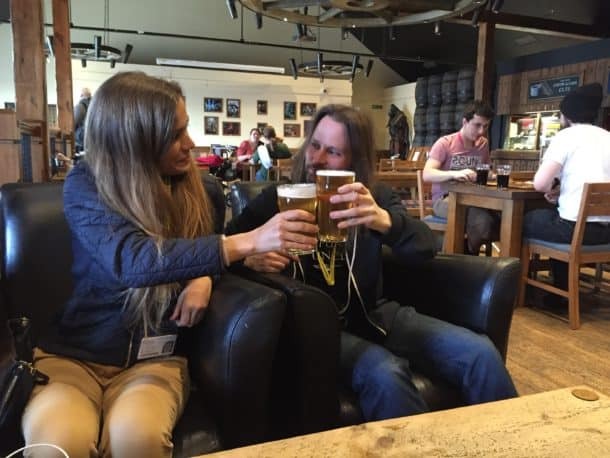 So it came to pass that a special team of two Imperial agents was dispatched to attend WarhammerFest 2016, Linda Bozorádi and me, your humble narrator, Viktor Juhász. 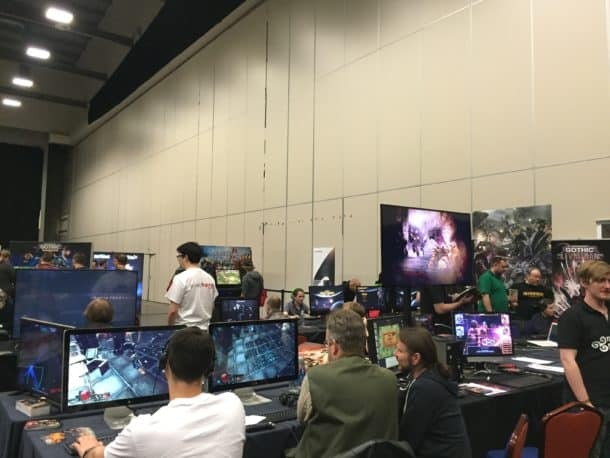 Warhammer Fest was held in Coventry, UK, in one of the great halls and various lounges of Ricoh Arena, which provided separate corners for gaming, seminars, exhibitions, not to mention the large area for all attending video game developers. There, in esteemed company, we presented the Pre-Alpha gameplay of Warhammer 40,0000: Inquisitor – Martyr. In a sense the demo we displayed at WarhammerFest could also be considered as a very unique debut, the first publicly playable level highlighting one of our most interesting features, the freshly announced destructible environments. We always thought that an Action-RPG set in the violent WH40K universe should reflect the sense of constant warfare and destruction, and now we could put our theory to test for the very first time with the help of the most dedicated WH40K fans. We were much relieved and happy to see that the general response to the game (that is, obviously, far from being a finished product) was overwhelmingly positive. 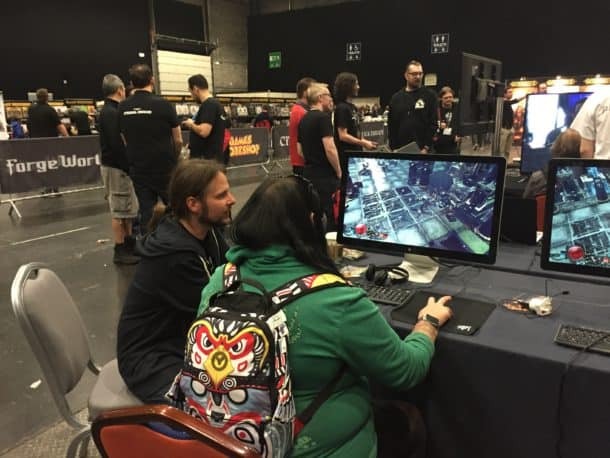 We had visitors who turned out to be regular followers of all Inquisitor-related news and at the same time we also had the chance to introduce our game to people who had absolutely no previous knowledge of our upcoming title, but showed great enthusiasm about the game. Regardless of their familiarity with the background information, people seemed to have fun with the game, and for us it was a truly remarkable experience to watch our visitors guide the available Inquisitor class through an infected fortress-monastery, where they happily disposed of heretics, finished off a colossal Hellbrute and with visible enjoyment laid waste to the various segments of the destructible environment, toppling down pillars and blowing away rusty pipes – a practice that we absolutely encouraged by us the whole time. Besides our constant presence in the hall among other developers, we participated in two seminars about video games as well, where we could talk about our upcoming title in general – not to mention that this way now we are also privy to some exciting news and interesting announcements from our fellow game developers! With WarhammerFest being as busy as it was we rarely had any chance to explore the event, but luckily for us, on Saturday night we attended a casual, friendly meeting with our colleagues from other development studios – courtesy of Games Workshop – , and literally in the very last hour of the Fest we rebelliously slipped away from our computers to lay our hands on some of the playable titles in the gaming area (I personally had a go at Total War: Warhammer and the new Vermintide expansion, Drachenfels, and I had tremendous, even if brief fun with both).